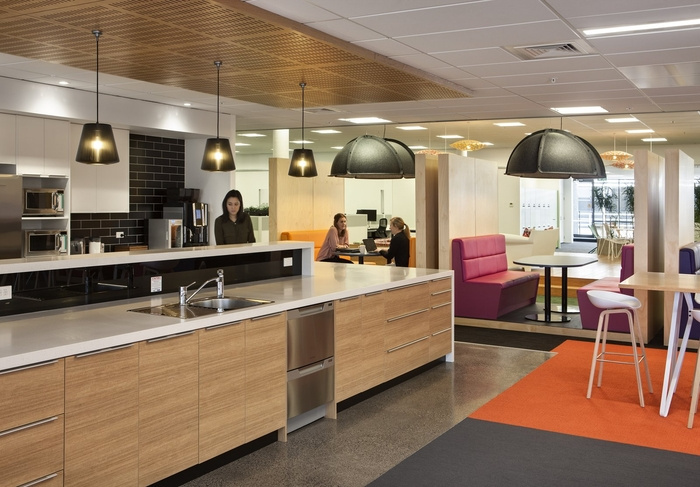 Creative Spaces has developed a new office design for an entertainment and hospitality organization located in Auckland, New Zealand. The aim of ‘Company A’s’ partnership with Creative Spaces was to consolidate employees from three sites into one single, large open plan floor. It is an energetic and inspiring environment which functions 100% as a flexible shared desk workplace. Technology that supported the new mobile way of working was introduced, along with large individual lockers. 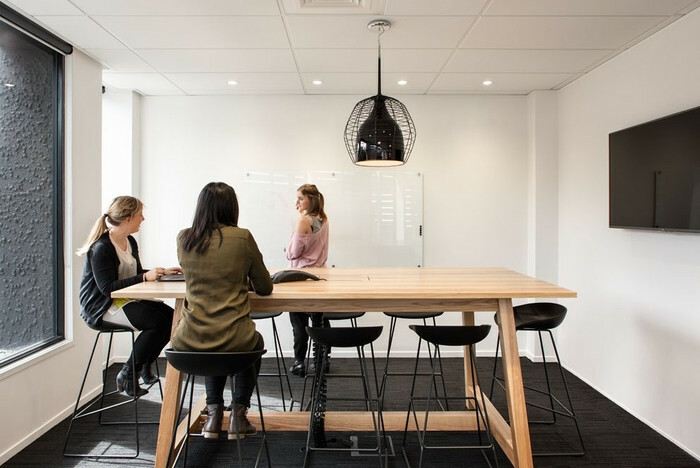 Collaboration spaces are varied in furniture styles and levels of privacy; this ensures meetings of any style are catered for in such a versatile environment. In addition to office space, the 1,750m2 fitout incorporates an Engineering Laboratory.